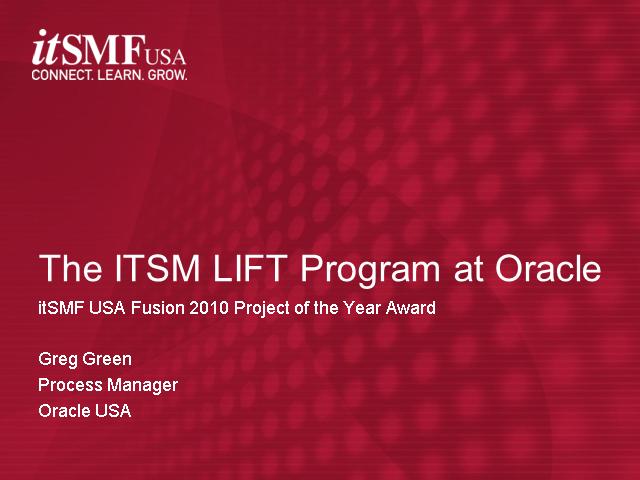 Oracle received the 2010 itSMF USA Project of the Year Award for its Global IT LIFT Program. This program had an aggressive strategy of making 23 processes go live in the course of the project. Learn how the operations team accomplished this task, its current state and future plans.